Two thousand years after the Races War, the continent of Harith woke up in a dark age. Rumors of war run by the Meltar earldom: the family of the Counts fell, a sect of fanatics took power, establishing a reign of terror, and now longs for the conquest of the other earldoms of the Confederation. Four hundred ninety-two years before the War of the Races, Enan reappears after a year in exile established by the Order of Lärurîth. At the dawn of a new era for the young people of Arset, rumors of a mighty army of strange, invincible and unstoppable creatures spread like wildfire. A boy without name and without memory is in the middle of a war that seemingly does not belong, but things are not always as they seem, and an unbreakable bond unites him to Enan. Everything has already been written or everyone can still decide their own fate? It just started a story that will end more than two thousand years later. Eighteen years after the battle against the demon, Harith is under the rule of Mograt, Lith was invaded, and to make matters worse Enan back to tread the lands of Arset, escaped from millennial captivity. 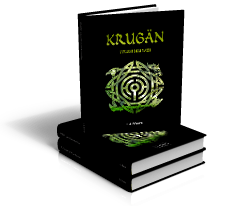 But it is precisely from the continent of Lith who gets up a fierce resistance: this is where Èrance come back from the past, the search for his missing part in this time of war and uncertainty leads him to confront his own nature of krugän, carrying out the skein of time up to the ages of Myth and Creation, and even further back. Hunters of Gods, a Fool and a girl with no name, and love following the unexpected. Lear: is a promising young mage just graduated from the school of magic “Gilean”, lives in the town of Aster. She leads a normal and quiet life, at least until Lancinat, the captain of the garrison of the local sector, does not bring news of war from the Meltar earldom. In that county has just moved his dearest friend, is also worried about him because of some sogniche torment him, and absolutely he must find him: his adventure begins here, and his life will change dramatically. Flaber: is the closest friend of Lear, left the Academy of Arms a year before obtaining the diploma, as it must move to Dor because of his father’s work. But in the Meltar earldom the political situation has precipitated a group of fanatics take power, threatening the federal government. His role will be crucial in the defense of the hope of a future free. Garel: is an elf-dwarf, expert professional hunter, lives in the town of Arbega, the continent of Lith, he spends his time to the rhythm of hunting thanks to which he earns his living. His role in the story is not clear, and only a few premonitory dreams seem to connect it to the rest of the story. His fate will begin to glimpse in the second book and will be resolved in the third. Mograt: is the undisputed leader of a sect that takes power in the County of Meltar, his goal seems to be to conquer the entire continent of Harith, but his interest is mainly directed to a demon that was sealed in a statue five hundred years before. On the lands subjugated implements a fierce persecution against the mages. What are your real goals? Enjiän: is the last component of an ancient order of mages. 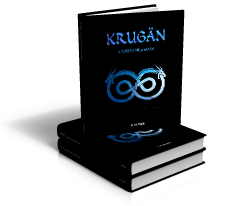 He disappeared five hundred years ago after a furious battle with a demon that was ravaging the whole Arset, and now seems to be back: it is really the hero of legendary or is it just an impostor? Shä-Zhûla: is an ancient demon that devastated the lands of Arset bringing death and destruction. Was sealed in a statue, but now its name back again to be a nightmare and a threat. Around this figure it developes the story of the first book. Löran, Rock e Tolk: the first is an old elf depositary of an ancient prophecy that announces the imminent return of the demon. Together with two other Meltar is part of the resistance that opposes the tyranny of Mograt, and their fate is found repeatedly intertwined with that of Lear and Flaber. “The Trio”: is a team made up of three elite makthûl, powerful orcish warlocks in possession of three of the seven Nûgdûmâth’s amulets. They are brothers and their goal is to find the statue of the demon, and to crush the resistance created by Flaber and his companions, but their destiny is tied with a double knot just to Flaber. Edris: is an extradimensional being, a “traveler”, has a special and mysterious character. 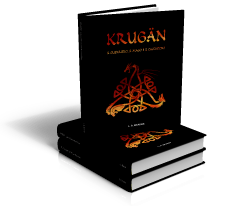 Its history is linked to that of Krugän more than what you might think. Enan: is an obscure and mysterious figure lost in the remote legend, whose existence is just supposed, but who maybe is the real director of the events that are happening. Èrance: is a boy in search of his past, as he lost all memory. The energy flows fluent in him and is exploited by the Order for his purposes. His fate is entwined in glove with Enan. Chobe: is an old woman who lives with a little dragon on a remote island in the Inland Sea, powerful in magic, skilled in teaching, teacher of life. Vivian: is a young sorceress Order, discarded by the mere fact of being female, is looking for his revenge. Hèstel: is a skilled wizard of the Order, team captain of the juggernauts. It repels the invasion of Harith, at least until “he” takes the field…. Myrrdin: is a mysterious wizard, amazing and bizarre, an old-child inscrutable, ancient wisdom. Shows have very special qualities, and is in continuous and obsessive search for something. Èrika: is the Protector of the girl with no-name, she cames from remote lands, is chased by the Hunters of Gods, and has only one thought: rescue the girl. Andër: is the heir of the family Dellyr, is related to the venerable Chobe, Vivian and Hèstel, but also indirectly to Èrance before know him. He reveals being a good fighter and great travel companion: his armor and his sickle leave no escape. The counting of the years starts from the end of the Races War: all the events that occurred prior to this event are dated BRW (Before the Races War, although it would be more correct to say Before the end of the Races War), while all those successes after are dated ARW (After the Races War). Each month has three lunar cycles of about thirty days called Moon: the first Moon start from the equinox or solstice up to thirty days later, the following thirty belong to the second Moon and the third Moon reaches the next equinox or solstice. The Third Moon of each month except Nextim has more than 30 days in order to achieve the entire solar year. Every four years, the Third Moon of Lastim has one more day (Leap year). The date is written indicating the ordinal number of the day, the moon, the month and finally the year. Year 0: end the Races War and the event is used as the start of dating the years. The races are spread all over the planet. 15 ARW the Kingdom of Patarea is founded on the island of Patarea. 20 the double Kingdom of Thaenor is founded on the continent of Lith: half elf and half-dwarf. 22 the Empire of the Races is founded on the continent of Harith. 23 the Grand Duchy of the Archipelago is founded, comprising the islands: Weis, Lair, Maricas, Danah, Losora, Elmia and Ras. 25 the islands: Shibar, Roken, Metra, Ben, Geri, Nala e Nime, annex themselves to the Kingdom of Patarea. 26 the islands: Carrol, Aleena e Balaine, establish the County of the Three Islands. 30 the islands: Garet, Gandar, Liba e Tika, establish the Principality of the Southern Islands. 50 the islands: Conne, Enham, Scira, Ison, Antilo, Suno, Narsi e Nemis, establish the Principality of the Northern Islands. 62 the Grand Duchy of the Archipelago tightens alliance with the Kingdom of Patarea. 113 the island of Nimises mysteriously sinks. 114 the survivors of the catastrophe of the island of Nimises embark on the island of Selenia, subjecting its inhabitants and establish the Kingdom of Lihim. 149 the armies of Lihim land on Carrol, Aleena and Belaine. 150 the islands: Linoe, Doneryll, Ardyll, l’Isola del Ventol, Skyrl e Rohona, put themselves under the protection of the Empire of the Races. 155 the islands: Creso, Hengar, Cirea, Giza, Roel, Boohn ed Eloa, put themselves under the protection of the Kingdom of Thaenor. 201 the Kingdom of Lihim joins forces with the Principality of the Southern Islands. 210 dies the last representative of the Oris dynasty, the ruling family of the Principality of the Northern Islands: the principality breaks; Rial and Likos families are in open conflict over the disputed throne. 233 the Kingdom of Lihim is allied with that of Thaenor. 240 war is declared between the Rial and Likos families. 256 the war ends in a draw: the Principality of the Northern Islands does not exist anymore; take its place, the Duchy of Rial and County of Likos. 259 the Kingdom of Lihim declares war on the Empire of the Races, and invades the northern regions of the continent of Harith. 269 the Kingdom of Lihim defeats the empire and conquer the continent and its protected islands, with a coup topples the governments of its allies and takes their territories. 270 the Kingdom of Patarea, the Grand Duchy of the Archipelago, the Duchy of Rial and the County of Likos shake alliance against the expansionism of the Kingdom of Lihim. 282 taking advantage of the internal conflict between Likos and Rial, troops of Lihim attack simultaneously the four states of the alliance. 284 the Kingdom of Lihim conquered the entire planet: the Planetary Empire is born, its capital is Shaira, in the continent of Harith. 1284 falls mysteriously the capital of the Peace (so named for the thousand years of peace that brought), the northern part of the continent of Harith is devastated by a magic cataclysm, the reigning dynasty is completely extinguished. 1290 all traces of the old empire has been cleared of all. 1291 in the northwestern part of the continent of Lith is born the elven Principality of Eloril, and in the southeastern the dwarven Kingdom of Thanul. 1303 the Principality of Eloril conquers the islands: Bera, Dervill and Naros. 1305 the Kingdom of Thanul conquers Weis. 1309 Eloril conquers Ardelia, Etar and Mira; the Kingdom of Patarea conquers Schibar, Roken and Ben. 1312 Thanul conquers Hengar, Creso and Cirea; Patarea conquers Geri, Nime, Metra and Nala. 1313 the islands: Selenia, Niles, Syhan and Helda, form the Free Republic of North. 1317 Rian and Nooga recapture Mira and Etar, and together with the Free Republic of North form the Grand Federation of North. 1323 the Kingdom of Patarea conquers Weis, and the Kingdom of Thanul declares war on it. 1329 Thanul defeats Patarea and attaches its territories. 1331 the southern part of the continent of Harith is repopulated, and is born the Principality of Pan, the northern part is avoided because it declared a wild and considered cursed. 1332 Thanul conquers Giza, Roel, Boohn, Eloa and Rigel. 1335 the Principality of Eloril enters the Grand Federation of North. 1339 the Kingdom of Thanul also conquers Ras, Lair, Elmia, Losora, Danah and Maricas, and forms the Great South Empire of South. 1340 is born a Principality in the island of Nemis. 1346 Nemis conquers Narsi and Lenos. 1350 the Kingdom of Enham conquers Conne, Scira, Ison and Antilo. 1352 the Principality of Pan conquers the islands: Garet, Gandar, Liba and Tika. Also annex themselves to the Principality the southern islands: Rohona, Linoe, Doneryll, Ardyll and the Wind Island. 1361 the Kingdom of Enham conquers Suno and all the Principality of Nemis. 1365 Skirl island enters the Grand Federation of North. 1373 the islands: Carrol, Belaine and Aleena, form the Nemeb Republic. 1379 the Kingdom of Enham enters the Grand Federation of North, which is now called the Great Empire of North. 1385 representatives of the Republic of Nemeb, the Principality of Pan and the two empires, sign a treaty of non-aggression, mutual aid and defense of peace. 1389 thanks to the agreement of the treaty, the Northern Sea is cleaned by the many pirates who infested. 1392 rises, a little further south of Nimises, NimisesII, a floating city, important commercial center of the planet. 1403 ARW interference is experienced in the field of magic streams on the planet. The most powerful wizards of the planet experiencing a negative aura, and with the help of the dwarvish art and the elvish knowledge they forge an amulet to fight it in case of danger. The Läurindûmil, as it is called, is kept on Cirea island, in the purpose-built sanctuary, which by this time will be the seat of the Conclave of Magic. 1410 the Principality of Pan organizes an expedition to explore the Wild Lands, but does not return. 1416 on Patarea island is built the “Planetarium”, a building into which have been opened magical portals that connect the most important points of the planet: Carrol island, the continent of Harith, the continent of Lith and Lair island; NimisesII rejects the portal that leads to the floating city. 1424 Skyrl island is evacuated for an invasion of dragons coming from the Wild Lands. From this moment is also called Dragons Island. 1435 are celebrated the 50th anniversary of the treaty: throughout the year are organized festivals, fairs and events in all countries of the world. 1444 ARW, First Moon of Firstim a demon called Shä-Zhûla eliminates all the representatives of the order of Lärurîth except one, who manages to escape thanks to the Planetarium, in the Principality of Pan. The demon throws into chaos the Great Empire of the South. Third Moon of Firstim Enjiän, the survivor, does seal all the portals of the Planetarium, while the Shä-Zhûla devastates the Great Empire of North. Third Moon of Fruitim Conclave of Magic tries to stop the daemon with the Läurindûmil, which inexplicably does not work: the planet is upset by panic. First Moon of Nextim Enjiän, with a group of brave men, leave for the Wild Lands in search of the lost people of guardian elves. 1445, First Moon of Lastim also the continent of Harith is overwhelmed by the power of the demon. Third Moon of Lastim guardian elves imprison Shä-Zhûla in a statue which reproduces in his animal form, then disappear along with Enjiän, after carefully hiding the statue in the lost city of Shaira, in the desert of Moah. Second Moon of Firstim the situation back to normal. 1446 the southern part of Harith is organized into a confederation of three counties: Aster, Meltar and Eliomys; Belaine island is uninhabited. 1450 is born the United Kingdom of Lith (alliance between elves and dwarves); the Kingdom of Dous includes the islands: Garet, Gandar, Liba and Tika. 1462 the islands: Patarea, Weis, Maricas, Lair, Danah, Losora, Elmia, Ras, Metra, Roken, Schibar, Geri, Nala, Nime and Ben come together in the Aquatic Empire of the Lily. 1463 Nemis island and Narsi island are governed by the Republic of Thera. Every other island on the planet has a local government, and every government on the planet live for more than 500 years locked up in himself, ignoring the others: the only points of contact are only a few adventurers and merchants. Every other event is insignificant and irrelevant until 1999, the present.